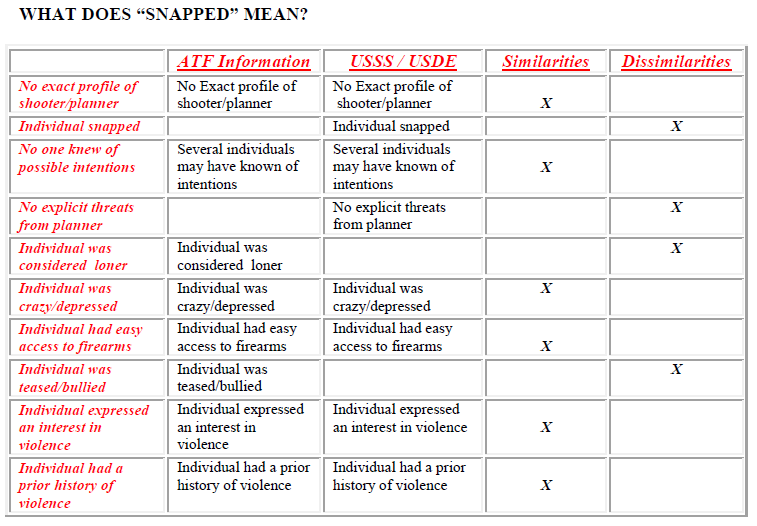 The purpose of this report is to provide information as it relates to the phenomenon of school firearms violence. This report provides an overview of school firearms violence, and through the examination of ATF case information, attempts have been made to possibly identify the kinds of individuals who are most likely to commit and/or plan a school firearms violence incident. • Domestic dispute and/or violence involving shootings and/or murder – a pattern of abusive behavior in any relationship that is used by one partner to gain or maintain power and control over another intimate partner. These acts of violence include but are not limited to intimate partners, parents, and/or children. • Random acts of violence – for simplicity, a random act of violence will be considered as a dispute between two or more individuals who have had or have no direct contact. However, due to some common event and/or location, these individuals come in contact with each other; an incident ensues that in turn, becomes violent. Random acts of violence can include, but are limited to, moments of perceived “disrespect,” payback for a possible past event and/or incident, i.e. bumping into, etc. In addition, it should be noted that only school violence incidents involving firearms were examined. Inferences have been made from analyses of earlier mentioned information. 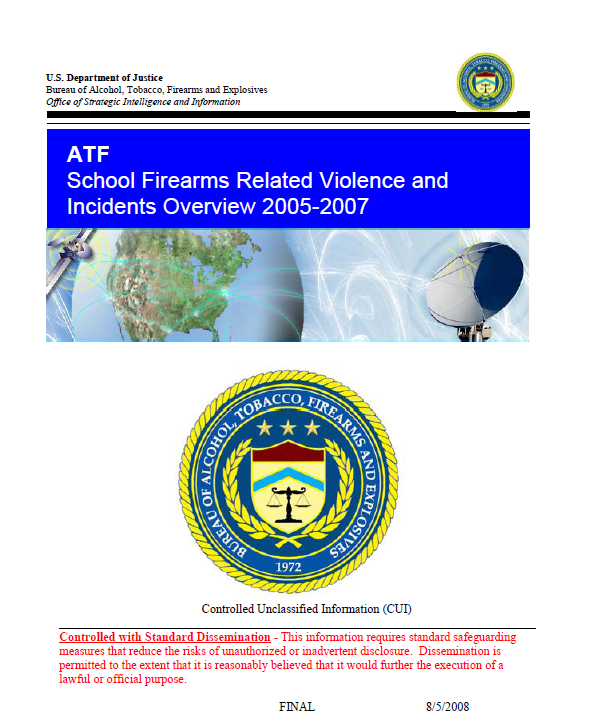 • (CUI) ATF case information reveals that ATF has investigated various types of school firearms violence. These investigations included actual school firearms violence incidents, planned school firearms violence incidents, threats of violence at a school, and firearms reported as being recovered on school/campus property. 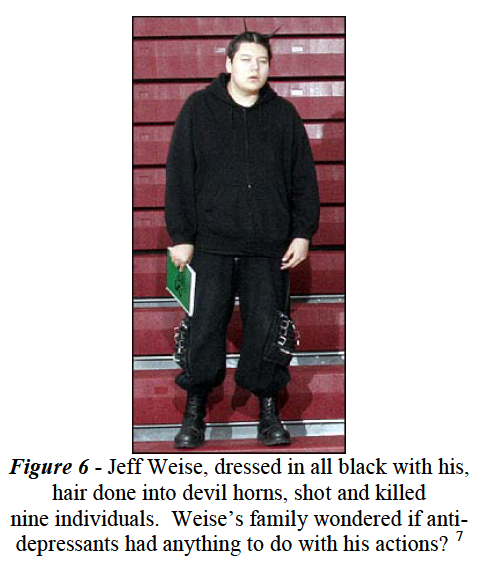 • (CUI) While the majority of school shooters and/or planners were white males, it should also be noted that there also have been instances of school firearms violence and/or planned incidents that were carried out and/or planned by individuals of other ethnic and/or racial backgrounds. 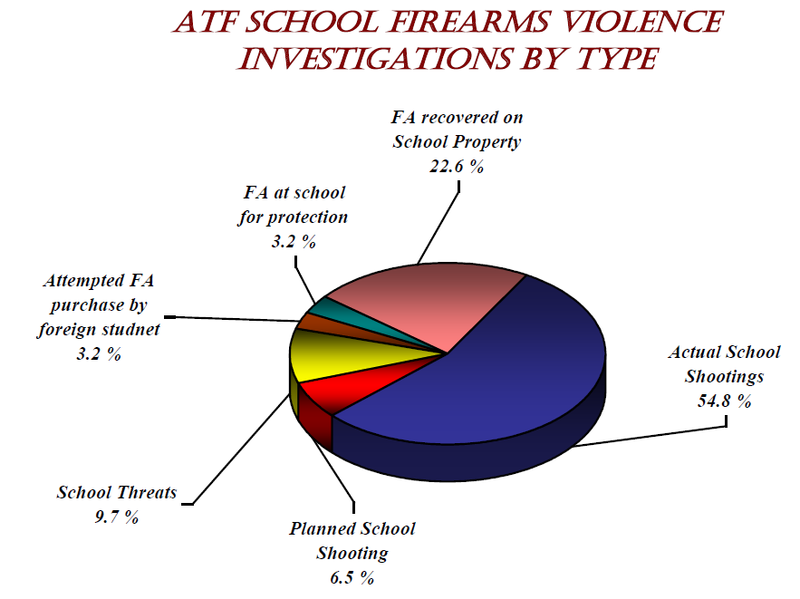 In addition, upon examination of ATF case information and open source data, information was found where females of all ethnic and/or racial backgrounds actively participated in several incidents of threats of harm, planned on carrying out a school firearms violence incident, brought a firearm to school for protection, and were found in possession of a firearm on school property. When female students were identified, many of these school firearms violence incidents were the typically the result of domestic disputes or random acts of violence. • (CUI) Several of the perpetrators of school firearms violence have demonstrated similar anti-social beliefs. In addition, many of these individuals are believed to have experienced a traumatic event recently in their lives. It is not known whether or not this event was a direct contributing factor in their decision to either plan and/or carry out the school violence incident. • (CUI) No particular firearm was identified as being favored by perpetrators of school firearms violence. Firearms of various types, makes, models, and calibers were found to have been utilized.